Jefferson County Pet Food Pantry : Thrift Store Preview Sale TONIGHT!! 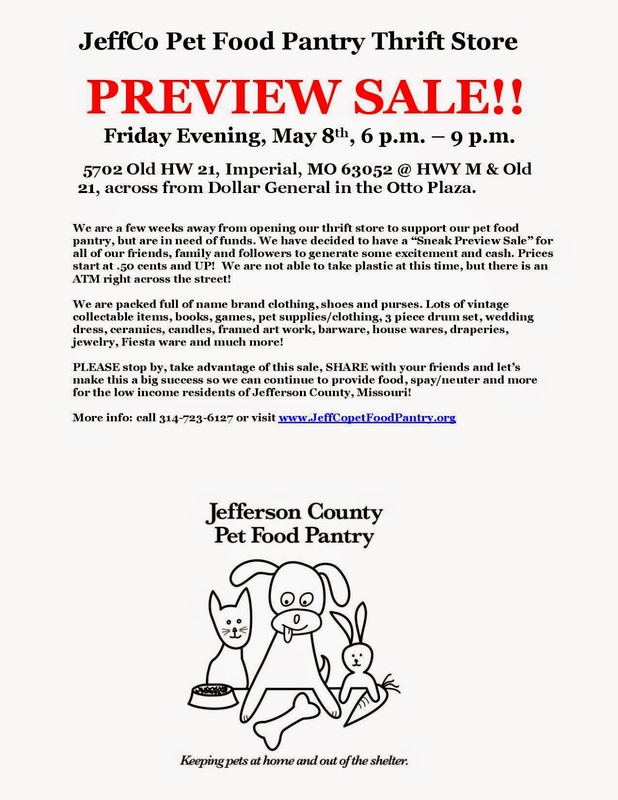 Thrift Store Preview Sale TONIGHT! !